A capacity crowd of community leaders attended Monaghan Public Participation Network’s Summer plenary event, at which three key strategies, which will shape where and how government and EU funding is spent in the county for the next five years, were reviewed. The documents reviewed were the Local Community Development Committee’s Socio Economic Statement and High Level Goals, the Joint Policing Committee’s Strategic Plan and Monaghan County Council’s draft Tourism Strategy. Allen McAdam, from MCA Consulting, chaired the meeting, and guided those in attendance through a series of workshops designed to enable them to review the three documents in question and identify any areas which need to be added to or changed. The information collected during the workshops will now be developed into written submissions which will be sent to the LCDC, the JPC and the County Council’s Tourism Committee for consideration as they finalise their plans. The workshops were guided by the PPN’s Community Well-Being Statement, which was developed by the PPN over the last six months via a series of workshops and online surveys. The Well-Being statement identifies the key factors which the community feels are necessary in order for communities and individuals in Co Monaghan to thrive. 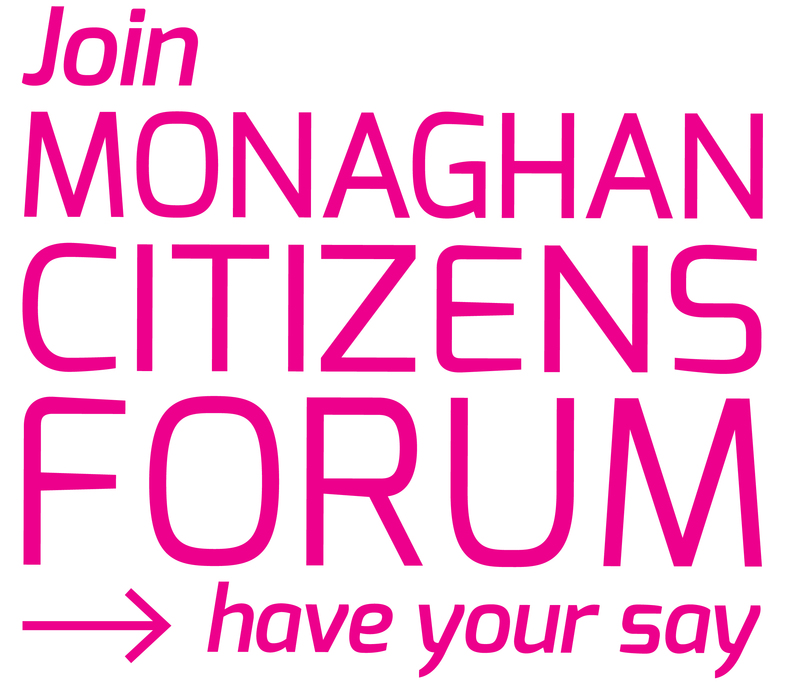 Key drivers for a happy, fulfilling life, as told by the people of Co Monaghan, include getting involved and knowing your neighbours, having respect for others and for your environment, giving back to the community, and having a fair and equal society where all are valued. The meeting started with a quick update on the work of the Local Community Development Committee. Fintan McPhillips, Chief Officer of the LCDC, told the packed room that much is riding on the LCDC’s Local Economic & Community Plan, of which the adoption of the Socio-Economic Statement is the first step. The LCDC’s Plan will identify the priority areas for development in the county: literally, in terms of geographic pockets where the need is greatest, and thematically, where the key issues affecting people’s wellbeing will be identified and actions to address these will be prioritised. Mr. McPhillips outlined a number of programmes which will be rolled out in Co Monaghan over the next few years and which will take their focus from the priorities identified in the LCDC’s document. These include the new LEADER programme, which will see €7.6 million spent in Co Monaghan. Information on a number of funding opportunities currently open to community groups was provided by Carol Lambe, Monaghan County Council’s Community Development Officer. Funds currently open include Enterprise Ireland funding for community enterprise centres, the Forest Service’s Neighbourwoods Scheme which provides funding to create woodland amenities close to urban areas, and the Dormant Accounts funding, which seeks to support communities which are providing services to vulnerable people including carers and young people with a disability. Ms. Lambe also gave information on two Awards which are currently accepting nominations, namely the Coca Cola Thank You Fund, which is giving out five awards of €25,000 to groups working to get more people more active, and Glaxo Smith Kline’s IMPACT Award, which has five prizes of €10,000 to give out to groups working to improve people’s wellbeing. Paul Clifford gave the meeting an update on the new PEACE IV programme, which is due to hit the ground early next year. Funding will be available through local PEACE Partnerships co-ordinated by the County Council. The focus of the Council-led elements will be in creating public spaces where people can come together, and delivering programmes of activities and events which aim to bring people together. Mr. Clifford encouraged groups to start working on their plans, so that they will be ready to avail of the funding when it opens for applications. The meeting was choc-full of information on all sorts of issues which affect communities. Francis McCarron from Monaghan Integrated Development came along to tell people about the new EIRCODE postal code system which is being introduced over the summer, and to ask groups to assist MID in reaching the most vulnerable people in their community in order to let them know what to expect. Paul Clifford informed the meeting of Connect Ireland’s initiative which rewards members of the public who can provide an introduction to a person or company in a position to create jobs in Ireland. If you know of anyone who might be persuaded to establish a base in Ireland, by providing their contact details to Connect Ireland you could be in line for a cash reward of €1,500 per job created as a result of your introduction. Also on display in Corcaghan was information from EIRGRID on their new planning application for the proposed north-south interconnector, and information about how the public can have their say on the proposal.